Just as when Serie A pundits already thought that the Scudetto race would get closer after Ac Milan failed to beat Lazio on Tuesday, things turned out into the opposite direction as the Rossoneri actually gets a bit further after their two close rivals also failed to pick up maximum points. The current runner up, Napoli, once again missed out on the chance to close the gap at the top after suffering a 2-0 defeat against Chievo. Meanwhile, As Roma, that also have the chance to close more gap at the top also failed on their attempt after being held into a 1-1 draw by Brescia. 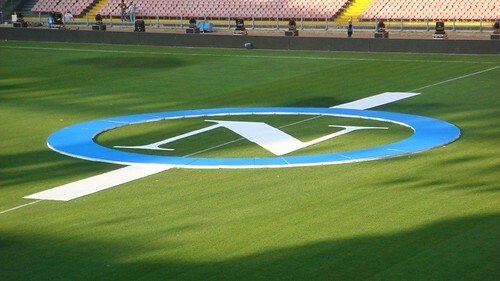 Coming into the game with the chance to cut Milan’s lead at the top, Napoli went downhill against Chievo as the Partenopei got their second defeat against the Flying Donkey this season. Ezequiel Lavezzi’s absence on the game prove to be a vital miss for the away team as they didn’t manage to provide enough pressure that could really trouble the Verona based team. Another important result that pretty much comforting enough for Milan in this midweek is As Roma’s failure to beat relegation side, Brescia, despite playing home at Olympico stadium. Leading in the 58th minute through Marco Borriello’s goal, the home team failed to extend their advantage and eventually got punished by Eder’s header 10 minutes later, securing an important result for the away team. Having one game less after their weekend match against Bologna was suspended, Roma were surely looking for the three point against Brescia to keep their title race still on sight but once again the capital club doesn’t seem up to the task. Although the competition is still long, the Giallorossi surely needs to step up their performance especially in terms of consistency as this season the capital club usually slipped at the right moment. With Napoli and Roma both slipping, Inter’s result would definitely be an important suggestion on which team that can really be considered as Milan’s main thread for claiming the Scudetto this season. So far even with a heavily depleted squad, the Rossoneri are still able to pick up quite a lot of points in this early part of 2011, which really makes them comfortable at the top while waiting for their injured players to finally return.